Jion Facetime Theatre for their fall 2019 Cabaret Festival! 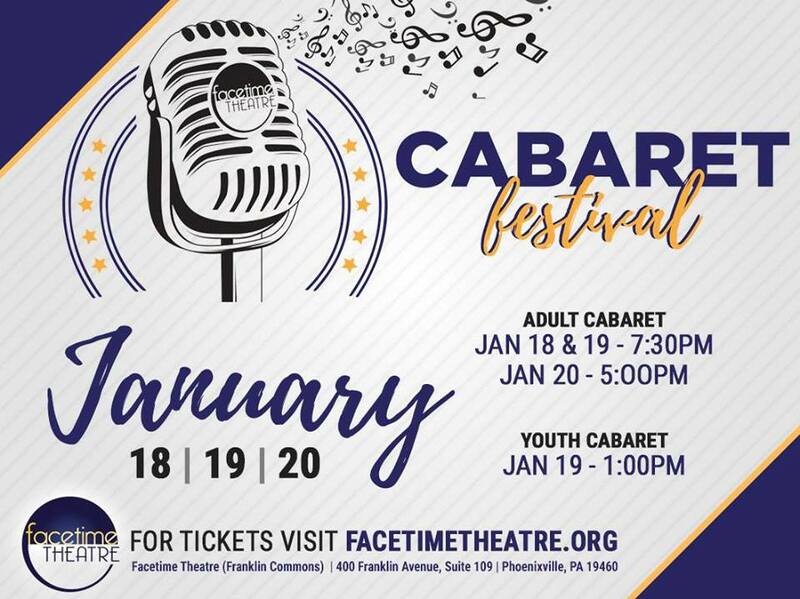 Every performance offers a new lineup of incredible singers performing their own 20 minute (for adult performances) or 10 minute (for youth performance) mini-cabarets consisting of their own song choices. The performances are BYOB (alcoholic or non) and BYO food (snacks, dinner, breakfast!) so pack up your picnic basket and wine bag and get ready for a fun night! There is limited seating, so mark your calendar and get your tickets ahead of time! Previous The Marvelous Wonderettes are coming to Footlighters Theater in Berwyn January 18th for four weekends!